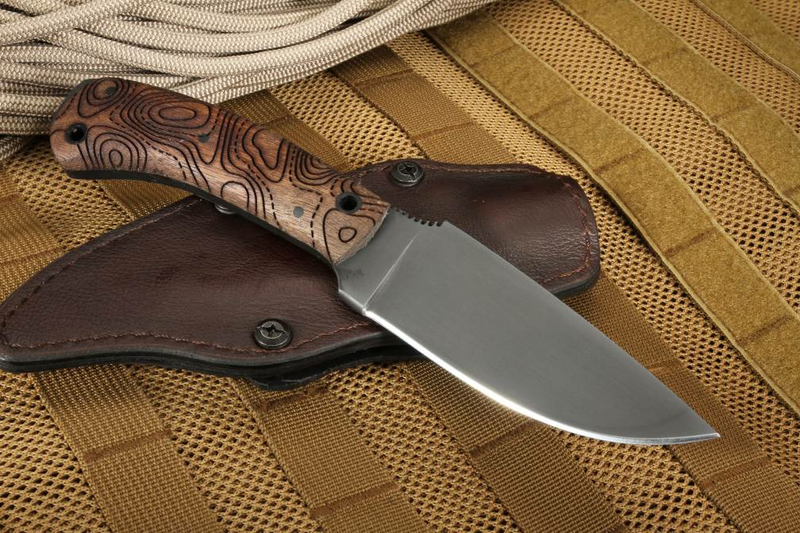 The Winkler Knives WK2 Woodsman in black caswell and Topo etch walnut is the perfect hunting and survival fixed blade. 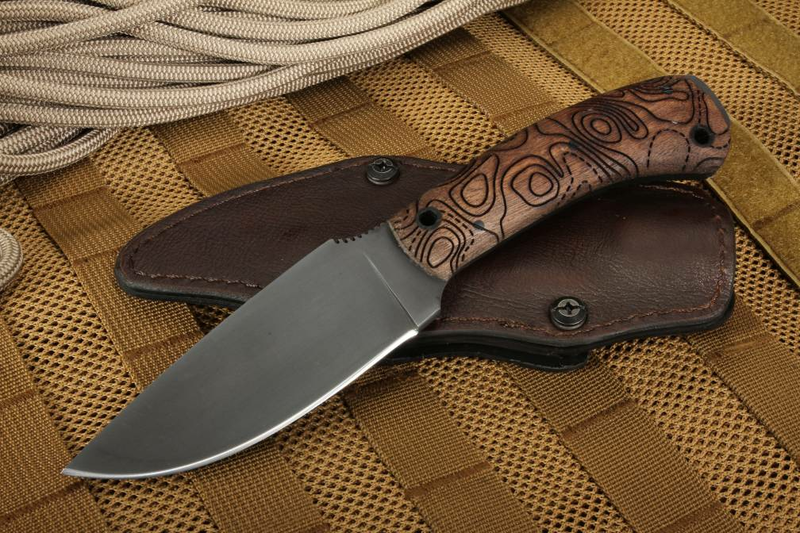 The Topo pattern etch on the walnut wood handle adds both an upscale look and added traction. The caswell and premium walnut Woodsman utilizes 80CRV2 carbon steel with a black caswell finish in a drop point shape that is perfect for all of your camping and hunting tasks. One of the benefits of using 80CRV2 carbon steel is its ability to throw a spark. 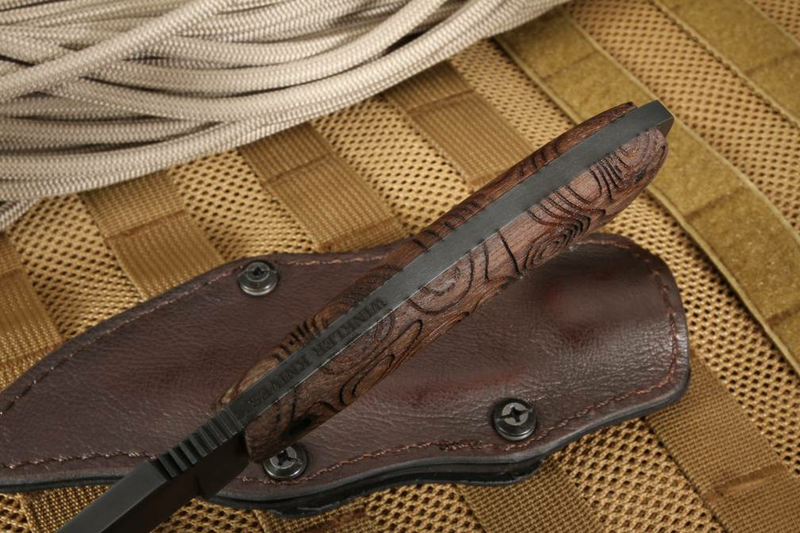 The classy walnut and caswell Woodsman is a full tang knife which provides amazing strength and balance. The black caswell finish protects the steel while also greatly reducing glare for covert use. Tough flat grinds on the blade for heavy use and easy sharpening. Jimping on the thumb rest of the blade spine offers great forward traction in wet or dry conditions. 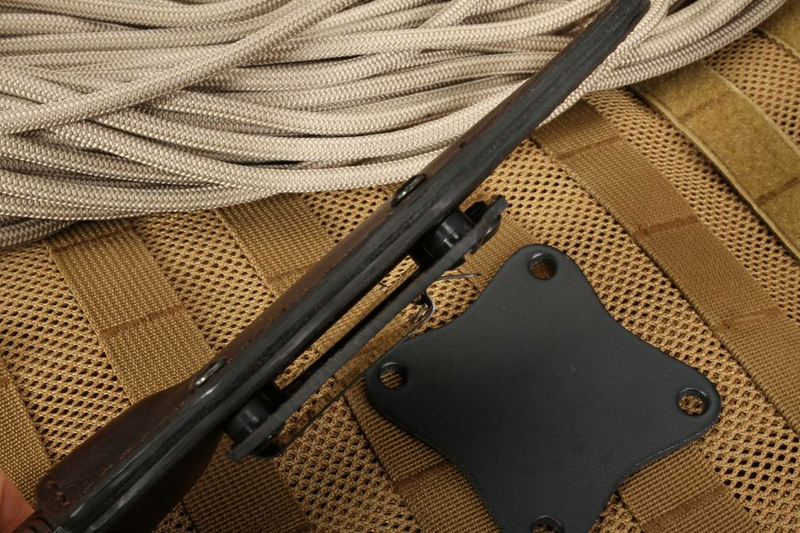 The handle is premium walnut wood that is durable and gives the user a great grip in wet or dry situations while also enhancing the look with visible walnut wood grain. 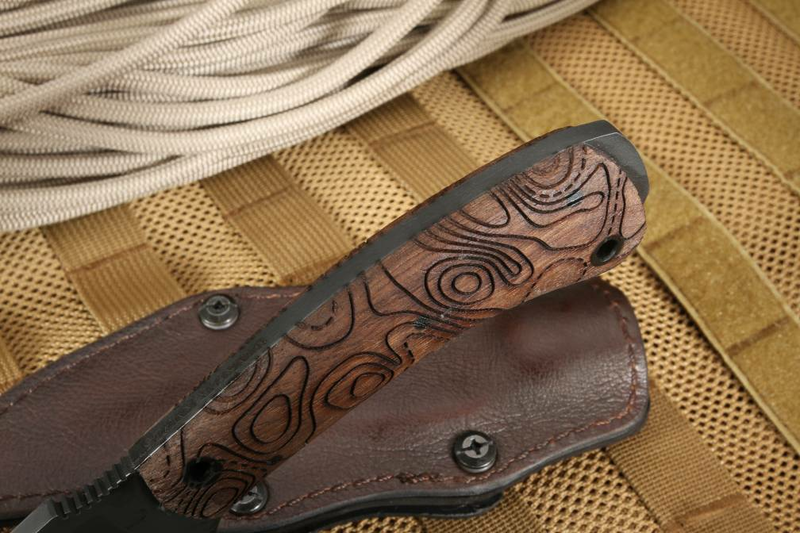 The handle has two lanyard holes for multiple lanyard configurations as well as a Topo pattern etch. Rear handle tang is exposed. 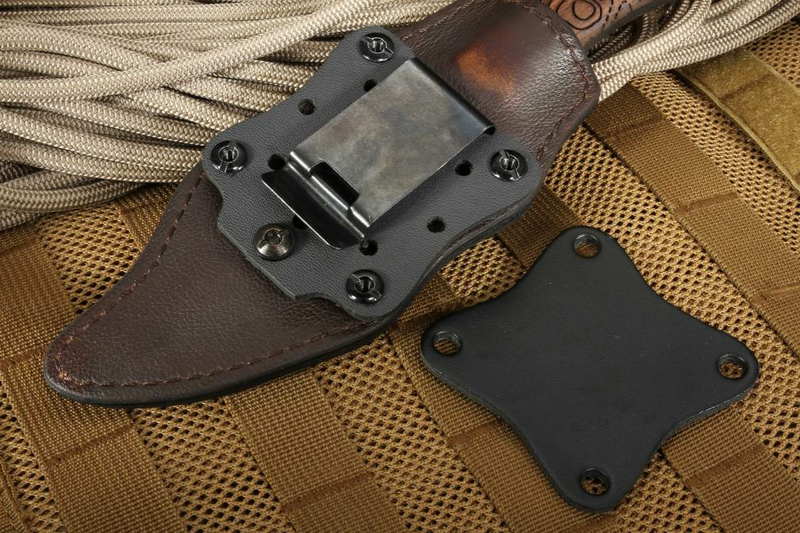 Multi carry kydex and brown leather sheath. Winkler Knives are made with pride and precision in the U.S.A. by skilled craftsmen.